Farmers and suppliers across Cambridgeshire have a new powerful supermarket regulator to fight their corner. 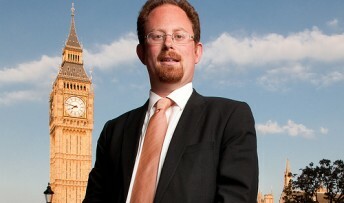 The move, which comes after a long campaign by the Liberal Democrats and a 2010 manifesto promise, has been welcomed by Cambridge MP Julian Huppert. “This new regulator will make sure farmers and suppliers are treated fairly by the major supermarkets and given a fair price for their goods,” he said. “In Cambridge, we have seen how giant supermarket chains threaten our independent traders; now they have someone fighting their corner. The new independent Groceries Code Adjudicator, Christine Tacon, has been appointed by Lib Dem Consumer and Competition Minister, Jo Swinson. She will be responsible for enforcing the Groceries Supply Code of Practice, which regulates interactions between the 10 largest supermarkets and farmers and suppliers. This will ensure a fairer deal for farmers and suppliers across Cambridgeshire and nationally who can complain to the adjudicator if they are unfairly treated by supermarkets. If a breach of the code is found, the adjudicator will be able to make recommendations against a supermarket or impose fines.